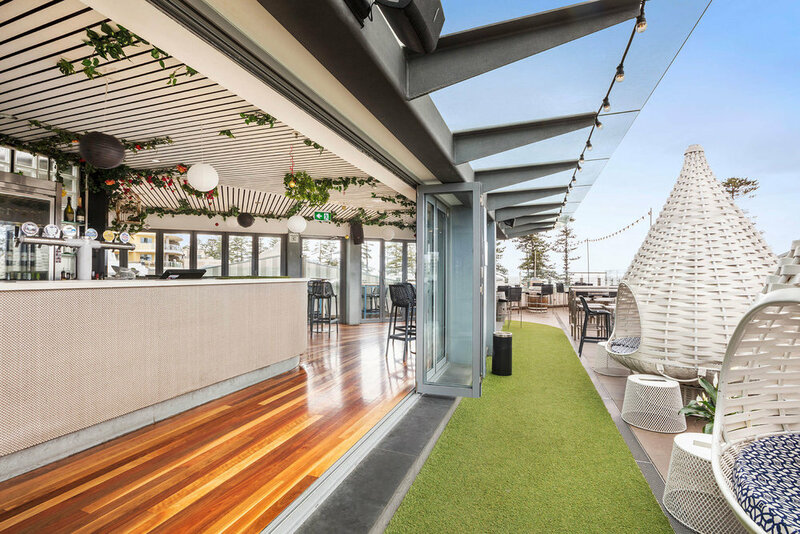 Located on the shores of Manly Beach, in the heart of the beautiful Northern Beaches, the New Brighton Hotel sets the benchmark for what Manly's entertainment, event and bar scene has to offer. 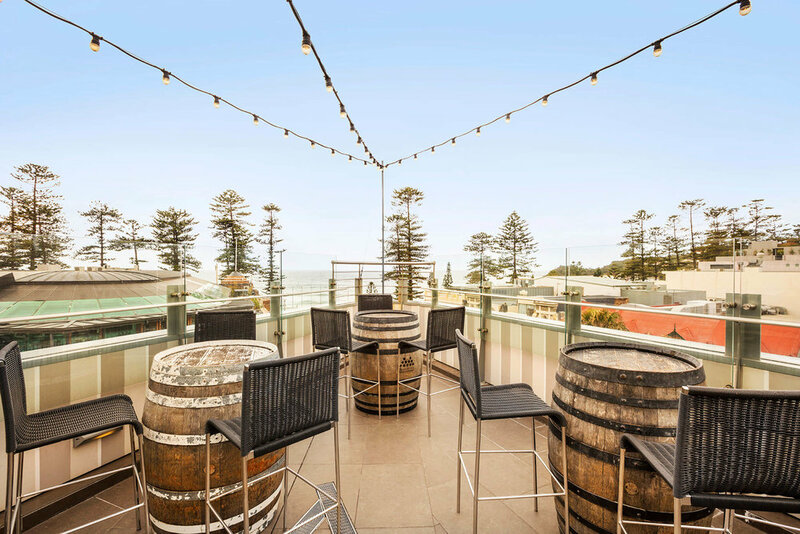 Positioned on Manly Corso, overlooking Manly and Shelly Beaches, the New Brighton Hotel is a stunning 4 level Hotel with views and décor ensuring a sophisticated yet relaxing atmosphere. 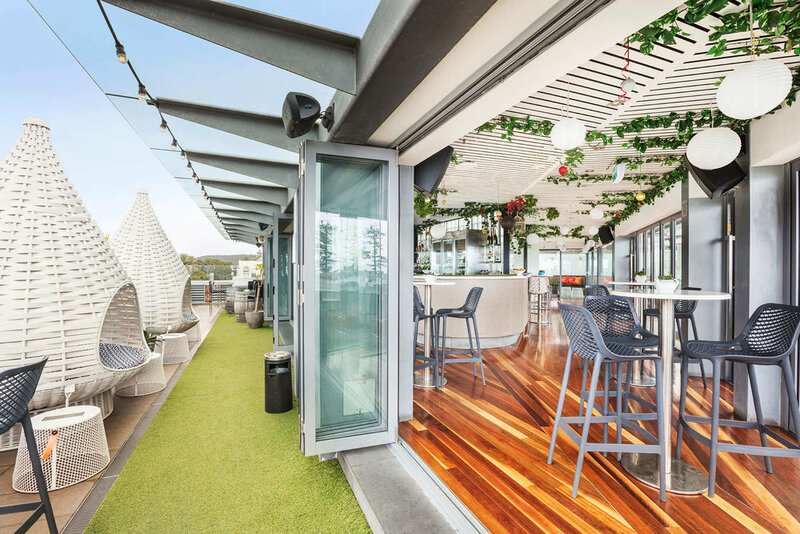 The New Brighton Hotel has a passion for customer service and will host your functions or events with flair, style and elegance to exceed your expectations. With four levels we have a wide variety of spaces that are suitable for any event including 21st Birthdays, engagements and weddings and our helpful function team will work with you to create an event that suits your needs. To send us an enquiry, please click the email link below or scroll to the bottom of the page. 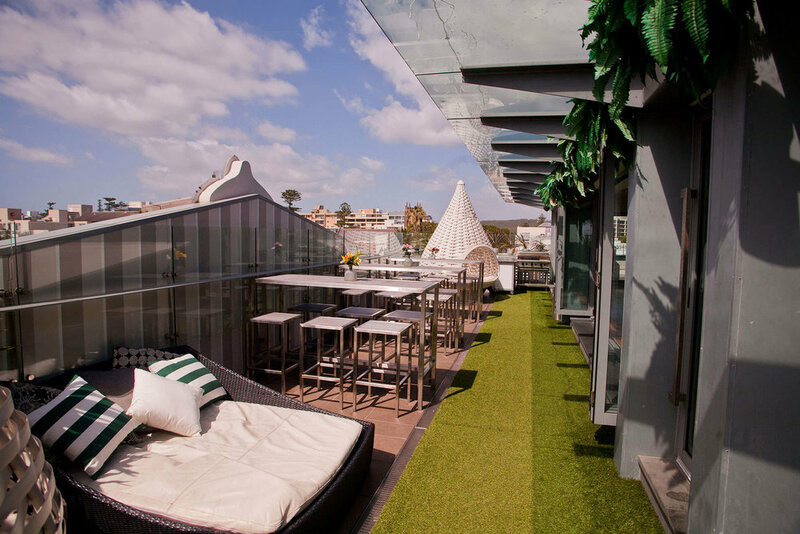 Set on the roof level of the New Brighton Hotel with a capacity of only 75 people the Rooftop has an air of exclusivity that helps to make you feel at home. 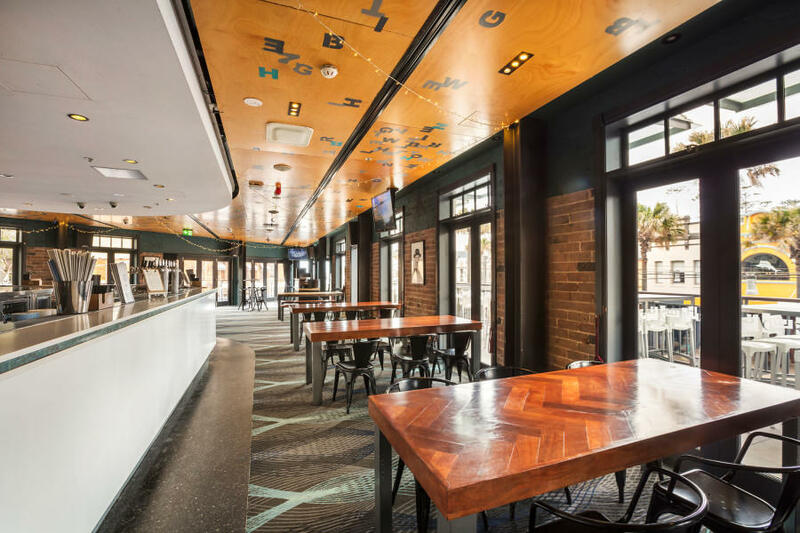 This premier space in Manly is the perfect place for you and your guests to enjoy a drink and get away from it all. The attention to detail in the design of the bar allows the space to feel funky yet sophisticated. Allow yourself to put your feet up and take in the uninterrupted views of Manly and Shelly beaches while we look after your guests for you. 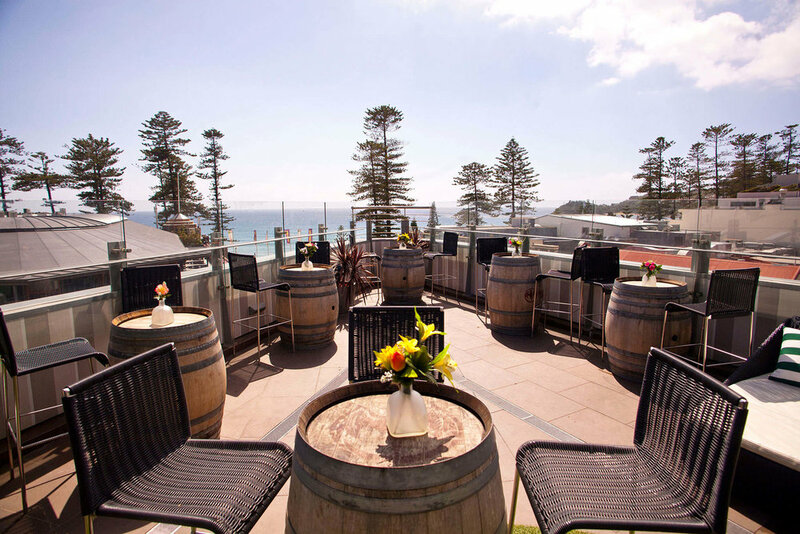 33° boasts an exquisite bar opening onto the balcony over Manly Corso with views over the promenade and Manly Beach. Exclusive room hire is available with direct access to the private bar, kitchen and amenities. This level boasts a standalone state of the art sound and lighting system, plasma television, DJ and band compatibilities. The wrap around balcony really has everything you're looking for, including the view. 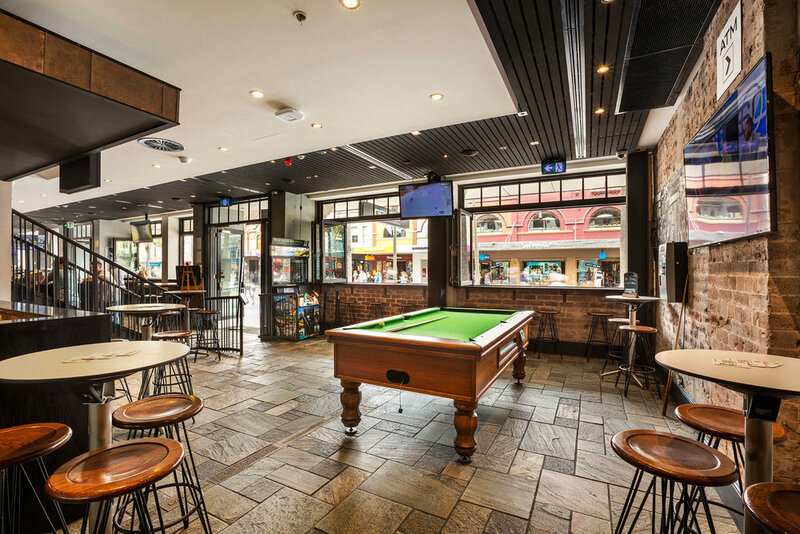 The dedicated entertainment level in Manly with state of the art sound and lighting, perfect for the late night reveller. 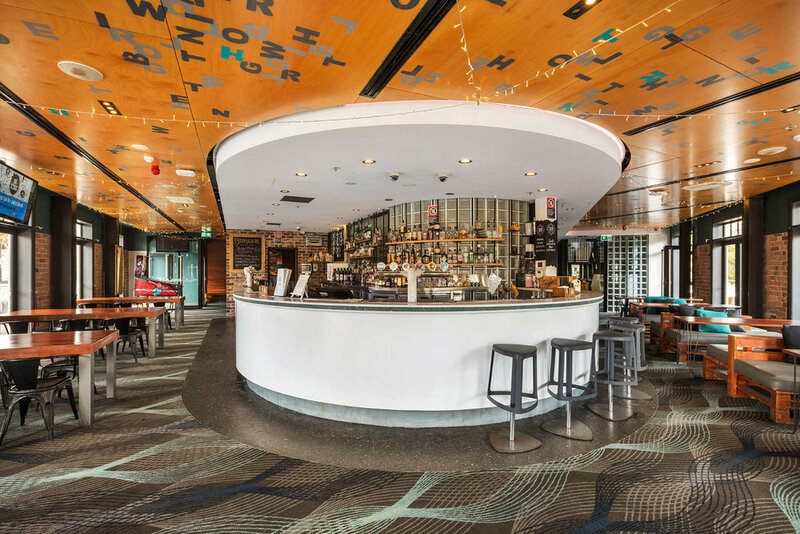 The Shark Bar encapsulates entertainment and Northern Beaches surfing culture. Artwork by Caspian De Looze gives the feeling of the beach and the ideal setting for your parties. Shark Bar is available for all events and is the ideal setting for EP, Single, Book, Magazine, Product and DVD launches, or your all important after party! Looking for the VIP experience? The Booth offers a sleek breakout area for your small group in an exclusive area within the Shark Bar to feel and look like the Clubs VIP's. You are away from it all but a part of all the action.